Addis Abeba, August 09/2018 – A provocative question was posed to PM Abiy Ahmed at one of the public meetings during his recent visit to the USA. From the way PM Abiy replied, I guess the question was related to possibility of granting car import duty exemptions to diaspora who might consider returning and settling back home in Ethiopia. The context to the question was Ethiopia’s extremely punitive car import tax, a major source of frustration among Ethiopians back home as well as in diaspora who contemplate to return home. In his response to the question, PM Abiy justified Ethiopia’s extremely high car ownership taxes by citing the country’s capacity to build roads and import fuels. No doubt, capacity to build and maintain roads have to be taken into account while determining quantities of cars to be imported. However, I would argue the issue is a great deal more complex than simple connections of issues within the transport domain. 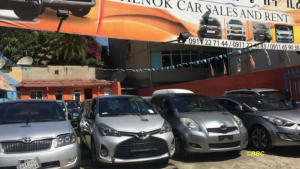 In this piece, I would attempt to shed some light on broader issues related to Ethiopia’s existing car ownership policy and then bring out some hidden conflicts and contradictions. It would prove useful to begin by putting matters in some perspective. 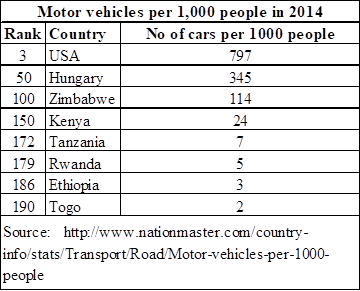 This is done by benchmarking car ownership in Ethiopia with other countries. Data presented in the table below compares Ethiopia with selected countries. Using 2014 data, 190 countries were ranked in descending order of number of cars per 1000 people. The USA comes third in the list with 797 cars per 1000 people, surpassed only by (San Marino 1,263 and Monaco, 899). Ethiopia is found at the opposite end of the scale, coming 186th out of 190 countries, with only 3 cars per 1000 people. In other words, if Ethiopians would volunteer to take turns to drive available cars, each keeping a car for a day, then it would mean one would need to wait for nearly three years before one’s turn would arrive. Ethiopia is among the least motorized country on this planet. The country is situated literally at the very bottom of the list of nations in car ownership. This has not happened by accident. Successive regimes in Ethiopia have made it their duty to deprive Ethiopians from owning a car. This was accomplished by imposing an exorbitantly high car import duties and related car ownership taxes. The combined effects of high import taxes and the unfavorable structure of vehicle import market has been that cost of vehicles has always been prohibitively high in Ethiopia. Deloitte Africa Automotive Insights, a study completed in 2018, reported that effective tax rates were 329% and 289%, respectively, on a Toyota Vitz 2003 and Toyota Land Cruiser 2010. This confirmed what Ethiopians already know by heart, that various taxes associated with vehicle imports would quickly build up to reach over three times the purchase price at the country of origin. It is difficult to imagine that car import duty to this scale would ever exist anywhere else in the world. 24 countries as weak, allowing over 10 old cars, some with regulations in place imposing higher taxes while others having no regulation at all. Ethiopia was classified in the last group, allowing imports of cars with any age and no regulation in place! Ethiopia’s regulation regarding used car imports seems to be even perverse in some cases. A BBC reporter interviewed an Ethiopian tax officer why Ethiopia’s vehicle import duties are unreasonably high. 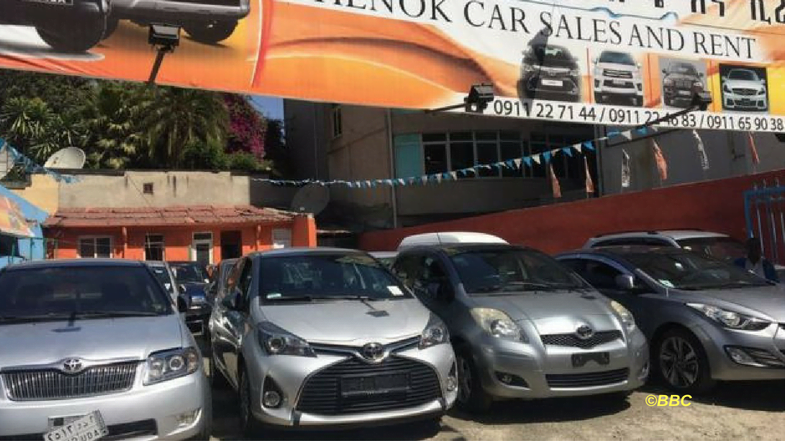 The tariff officer at the Ethiopia’s customs authority defended the existing regulations stating that Ethiopia’s taxation policy was fair in that it gives discounts for buying second-hand cars! The remark made by this tax officer sums up the extent of utter lack of awareness among the authorities regarding wider economic, social and environmental implications of encouraging used car imports. As far as car ownership is concerned, successive regimes in Ethiopia seem to have always been concerned with a single-issue – government revenue maximization! Even then, the tax officer was not being honest in that import duties do not actually fall proportionately with age of cars. Regardless of the age of the vehicle, a uniform 30% depreciation is applied to assess import duties, underlining the fact that the authorities are primarily interested in extracting as much tax revenue as possible, with no other consideration whatsoever! It seems also that the bar on vehicle inspection standards have been gradually lowered over the years so much that vehicle age do not seem receive much weight when Ethiopian transport authority undertakes annual inspections for road-worthiness of vehicles. In order to illustrate how grave the situation is, I would like to share my anecdote. Some years ago I arrived back home after living abroad for several years. I was excited to observe that facilities at the Bole International Airport were modernized, but only to get depressed by what I observed looking down from the elevated place at the exit from the Airport. I saw a sea of extremely old and rusty cars parked next to each other for as far as I could see ahead on the otherwise modernized tarmacs of the airport terminal car park spaces! The car park looked more like a scrapped car collection center, ready to be shipped to Korea for recycling, rather than cars waiting to pick passengers from an airport terminal. A day or so latter I visited my cousin who lived at the outskirt of Addis Abeba. I left her home late evening and hired one of those elderly Lada taxis. The car was too old to be roadworthy but it did not matter, by then I was sufficiently sensitized to the situation. I was rather uncomfortable about something else – the taxi driver was busy talking over the phone! I overheard he was negotiating with another taxi driver. Noticing my curiosity, after finishing his conversation, he turned to me and politely said, “sir, I am hiring another taxi for you!” “But we have agreed you would take us up to the Stadium,” retorted a friend who was accompanying me. I was not prepared for what he said next, “but sir, this taxi I am driving does not have any lights and I cannot afford to go all the way to the stadium. He told me that he was driving guided by streetlights! “No worries, sir, you will not be charged again, I will pay my friend who will take you up to your destination”. I was left speechless. Anyway, I agreed to his terms, I did not see any point in nagging him any further, in the circumstances he did what he could do. Instead I began to engage myself in a situation analysis – inspecting the visible parts inside the taxi! I noticed covers were cracked open and wires exposed and protruded at many places. A bunch of wires at the bottom of the steering wheel was hanging down between the legs of the driver. It was beyond me to comprehend how that driver managed to get that car moving on the road. The whole thing sounded comical and theatrical. It was a happy conclusion though, with the help of the Almighty and the driver, we safely arrived at our destination. Like in most other cases in the Ethiopian economy, the cost of bad public policy has always been born by Ethiopians who often pay in-kind – with their lives! Ethiopia has a backlog of large road unworthy fleets stocked up over the years! It is not rocket science to know the consequences of deliberately releasing obsolete cars onto the roads. The latest available figures on road fatalities were compiled for 2013 and published by the World Health Organization (WHO). Deaths due to traffic accidents on Ethiopian roads were presented with a wide margin, ranging from 18,528 to 29,146 in that year. This gives about 25 person per 100,000 people, Ethiopia ranked about 43rd in the world. However, I hasten to add that this is a rather misleading indicator on at least two grounds. First, WHO compiles data using official sources – reports from the police and hospitals! However, an independent recent study confirmed that Ethiopia’s police sources captured only 57% to 61% of deaths while the hospital sources captured about 33% of deaths. This indicates that fatality rates reported by WHO is likely to grossly underestimate the road fatality rates in Ethiopia. Second, the “death per 100,000 people” statistics WHO reports is actually a rather silly statistics, it is biased downwards for a country that has a large population. The alternative is to express road fatality rate in terms of deaths per 100,000 vehicles. For Ethiopia, this gives 5,000 deaths per 100,000 vehicles on Ethiopia’s roads in 2013. By this criteria Ethiopia’s position suddenly changes, moving from 43rd to 5th in the world (after Guinea, Benin, DRC, and Sao Tome). This reflects the true picture of the reality on the ground, a few extremely old cars causing havoc on Ethiopia’s roads. Ethiopian authorities still seem to hold a medieval mindset, oblivious to the fact that cars are no more luxuries but necessities to families who live in the modern world. Being confronted with relentlessly stubborn regimes, Ethiopian households have had to adjust and survive with a standard of living way below those who live beyond the country’s borders. In other words, while some citizen pay in-kind through their lives, those who survived fatalities are condemned to incur a variant of in-kind cost, accepting a lower standard of living than they would not deserve in normal circumstances. I have had the opportunity to live in Kenya, with my duties involving frequent shuttles to Ethiopia. It was a painful experience for me to observe, for instance, that secretaries at Nairobi University could afford to buy and drive fresh looking new cars, the kind Addis Ababa University Professor would not even contemplate to window shop, never mind buying an driving! This is partly explained by wage differences, and partly by car availability at affordable prices. So far we have focused on in-kind costs, precious lives and lower living standards, that Ethiopian households have had to endure. Ethiopia’s car ownership policy does not only have socially harmful effects but it is also economically damaging. There are explicit and quantifiable monetary costs to private households as well as to the government. To start with private costs, the excessive import taxes do not only inflate prices of vehicles but also their spare parts. Needless to say that old cars require frequent maintenance, which have often eaten into the meager household budget. In another piece entitle Ethiopia’s low wage curse, I have discussed that Ethiopia’s dismal pay structure (e.g. Ethiopia’s teachers on average earning about one-seventh to one-thirteenth of salaries paid to Kenyan teachers!) As a coping mechanism, Ethiopian households have tended to opt for non-genuine spare parts because of their lower price, which could partly explain high fatalities on the road, or even more frequent maintenance. Now about costs to the government and the wider economy. The damaging economic impacts of old fleets on the wider economy cannot be overemphasized. Let’s start with cost of spare parts which would need to be imported and in larger quantities than would be the case if the fleets have had lower average age. 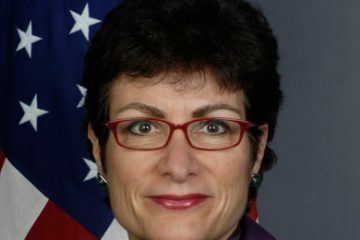 The extent to which spare part imports has been a drain on the country’s scarce foreign exchange is yet to be studied. A comparative analysis with other countries would inevitably reveal some interesting results. Importantly, fuel economy has been the main driving force shaping public policy on car ownership in the rest of the world. Fuel economy is a double-edged sword, it serves both economic and environmental goals. In order to illustrate this, relevant data was brought together from various sources and compiled in the table below. The upper part of the table compares two Toyota Corola models – one from 1986 and the other 2003 model, a relatively recent model by Ethiopian standard. 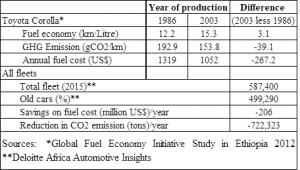 The data was obtained from Global Fuel Economy Initiative Study in Ethiopia 2012. The 1986 and 2003 models would run with 12.2 and 15.3 km/litre respectively, that is a 3.1 km difference per liter! Similarly, there is a 39.1 grams CO2 emissions difference per km between the old and the new models. The 2012 fuel economy report on Ethiopia stated average annual mileage of passenger cars was 24,000, trucks and buses were 50,000km each. If we apply the current US$0.67 (birr 18.77) per liter fuel cost in Ethiopia, then we establish there would be US$267.2 saving by changing to the relatively recent model. The Deloitte Africa Automotive Insights report cited earlier stated that there were about 600,000 vehicles in Ethiopia and the bulk of them (85%) were classified as old fleets. If we gross up the figures fuel economy data reported in the upper part of the table, then we get that total additional fuel cost saving would be about US$206 million and CO2 emission would be reduced by about 722,323 tons per year, about 7% of Ethiopia’s total CO2 emission. The annual economic cost reported in the table above is likely to be a small fraction of total costs, which should include additional costs on spare part imports. Similarly, the CO2 emission is likely to be the minimum expected. Ethiopia’s car ownership policy is one of those policies that have persisted over decades, being handed over from one regime to the next. The power of economic policy inertia in Ethiopia has been so much that they can elude even well intended, progressive and bright leaders like PM Abiy. That is what I learnt from his reply to the question regarding car import duty, which was posed to him from one of his audience at that public gathering in the USA. I am certain his reaction would have been completely different if he was reminded that the existing policy, which allowed proliferation of road unworthy cars in the country, is responsible for the fatalities and carnage that regularly take place on Ethiopia’s roads on daily basis. Similarly, perhaps PM Abiy is not informed that there are only two cars per 1000 Ethiopians, and the existing policy has condemned Ethiopians to lead a standard of living way below those of people in neighboring countries.